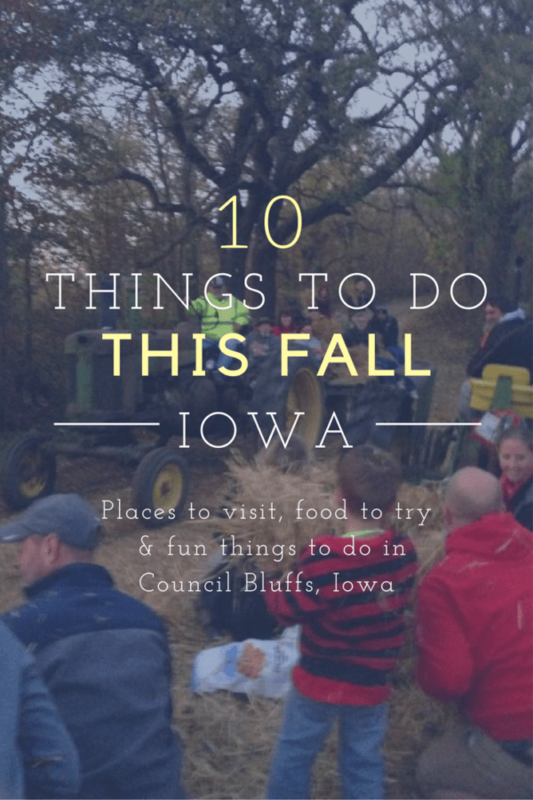 Fall is an ideal time to visit Council Bluffs, Iowa. A gorgeous time. 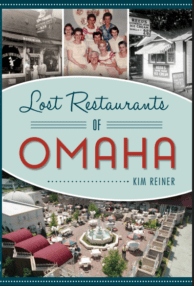 I was recently asked by the Council Bluffs Convention and Visitor’s Bureau to write about the city which inspired this sponsored post. I’m not exactly a local expert but the city has a special place in my heart. I spent about 10 years working in Council Bluffs, and even though my daily commute doesn’t bring me down West Broadway anymore, I return with my family to revisit my favorites. If you haven’t visited in a while, here’s a list of fun things you must do in the fall in Council Bluffs. Hayrack ride time at Shady Lanes in #CouncilBluffs! Shady Lanes Ranch Inc. has fun hayrack rides that end with your group being dropped off at your own bonfire. We brought friends last year for the first time and had so much fun. The kids enjoyed the hay fights between with passing hayracks. 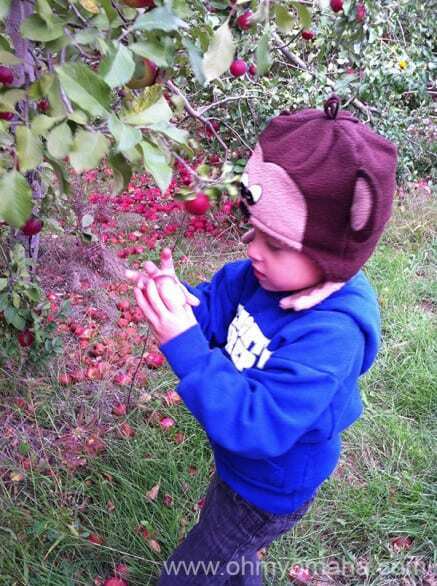 It’ll be tough to find a closer apple orchard than Ditmars. 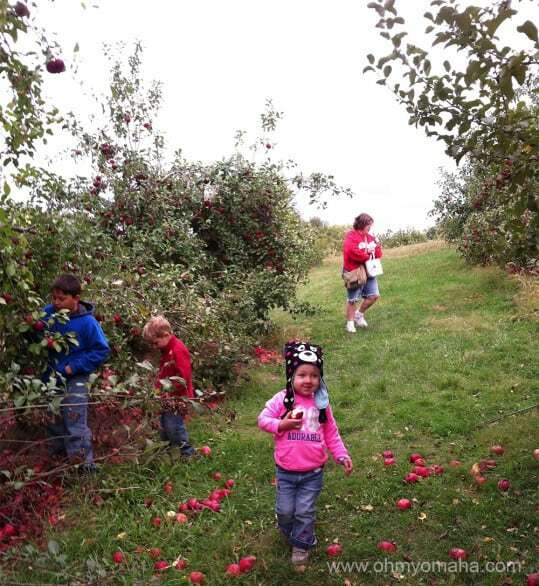 My family enjoys the relaxed pace of the orchard, which is perfect for younger children. 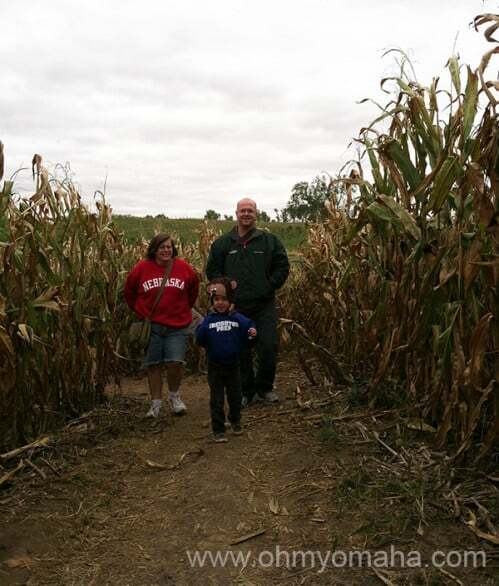 You can walk out to the orchard or hop on a hayrack to go further into the orchard (if you’re going with little kids, this hayrack ride is a hit). They also have a pumpkin patch for later fall activities. While there, kids will enjoy the playground and corn maze. Before you leave, do not skip the concession stand. You must get the fresh apple donuts. You’ll thank me. Ditmars is a hot spot in the fall for events. 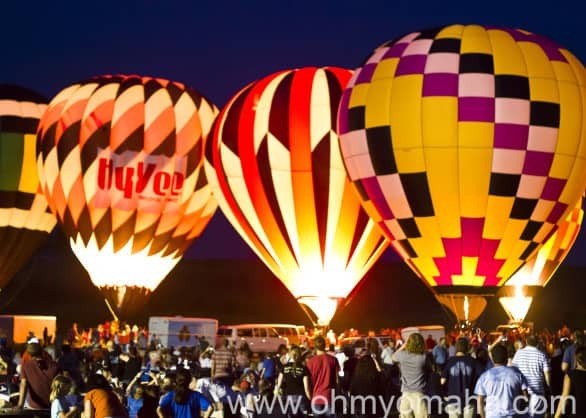 In September alone, there’s the AppleGrass Festival, Fields of Flight hot air balloon weekend, and a kite-flying weekend. Bayliss Park in downtown Council Bluffs is pretty visit any time of day, but the modern fountain lit up at night is a sight to see. The park has a splash ground that’s great for kids on hot summer days, too. The park also has free concerts and movies throughout the summer. 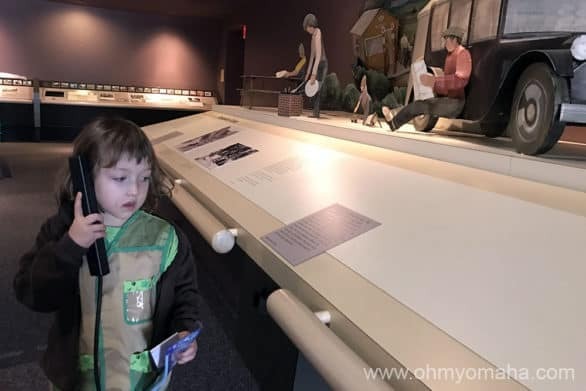 If you have a train-loving kid in your house, you need to visit Union Pacific Railroad Museum in downtown Council Bluffs. This FREE museum features some interactive displays, and lots and lots of memorabilia. If you’re kids are really into trains, plan for a second train stop in C.B. at RailsWest Railroad Museum. This long, crushed limestone trail is great for cycling (not with your road bike, mind you) and running. 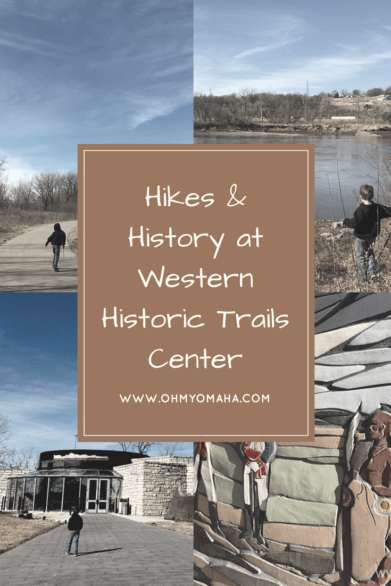 Wabash Trace Trail starts in Council Bluffs and takes a scenic route southward through the Loess Hills and tree-lined fields for 63 miles. It’s an old railroad route so the slopes are never steep. On Thursday nights, hundreds of bike riders take the famous Taco Ride from Council Bluffs to Mineola for food and drinks, and then ride back. It’s a ton of fun! If you try it, make sure your bike lights are working – it gets very dark on the trail. Few restaurants in the metro area can compare to the creativity and taste of Dixie Quicks and for that alone, you should visit. The cool setting, quirky shop and gallery connected to the restaurant, and the dinosaurs kids can play with while you wait are icing on the cake. Brunch is my favorite time to dine there. Find Dixie Quicks on the historic 100th block of Council Bluffs, a pretty part of the city not to be missed. Update: Dixie Quicks closed in 2018. The Arts Center at Iowa Western Community College in Council Bluffs has two performance spaces where you can see student performances and touring productions. There’s a full season of shows, so it’s not just a fall thing to do. Occasionally a kid-centric show will be presented there, so keep an eye on the schedule. Lake Manawa is definitely busy in the summer with boaters, fishers and swimmers enjoying the beach. In the fall, take advantage of the cooler weather to bike the paved trails or if you’re the adventurous sort, the 8 miles of mountain bike trails. If’ you’re there with younger children, don’t skip Dream Land Park. Probably one of the top 5 photographed attraction in the metro area, the Bob Kerrey Pedestrian Bridge spans the Missouri River, connecting Iowa to Nebraska. The photo opp of all photo opps is straddling the state line. Summer on Council Bluffs’ side can be pretty busy, especially on the green space of the park that’s right near the bridge, Tom Hanafan River’s Edge Park. There are concerts and outdoor movie screenings there, especially during Loessfest. OK, this is more of a summer place to be for live music, but the Stir Concert Cove schedule stretches into the fall so I’m including it. The outdoor music venue at Harrah’s Casino and Hotel brings in some of the best touring bands that come to the metro area. While they are all-ages shows, I usually find a sitter when I get tickets to a show. I can’t limit myself to just 10 great things about Council Bluffs, at least, not if it means I have to cut out some food talk. Dixie Quicks is great, but it’s not the only restaurant in town. If you’re hungry for pizza, head to the local favorite, Pizza King. If you’re at Bayliss Park, my favorite spot for a treat afterward is Ellie’s Deli & Ice Cream Shoppe. Christy Creme is another ice cream place to visit in the summer; we usually stop there after a trip to nearby Hitchcock Nature Center in Honey Creek. For a filling breakfast a cozy diner, head to Duncan’s Cafe on Main Street. I dare you to tackle the serving of hashbrowns – I swear the plate is the size of a hub cab. See more of my favorites in the post 8 Great Places To Get Breakfast in Council Bluffs. If you’re in Council Bluffs without kids, my favorite spots I recommend visiting is 1892 German Bier House, 360 Steakhouse at Harrah’s (the best view! ), and Cellar 19, and wine bar and deli. There are a few wineries outside of Council Bluffs, too. Check out the list of Wineries Near Council Bluffs. 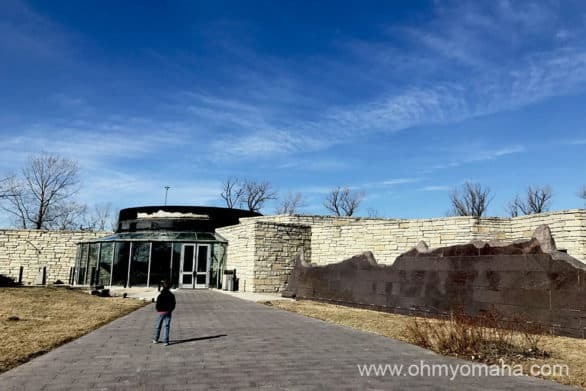 For all the years I’ve worked in Council Bluffs, I’m a little embarrassed to say I’ve never been to two of its biggest historical attractions: Squirrel Cage Jail and the Gen. Dodge House. The Dodge House often has events with actors dressed in period costumes and at Christmas time, they have special nights for families. (drips), a new-to-me coffee shop on Main Street, is also a place on my list. Your turn: What are some of your favorite Council Bluffs attractions and restaurants? Disclaimer: I was compensated for this post sponsored by Emspace to promote the Imagination Movers’ concert. All thoughts and opinions are my own. Loessfest is back in Council Bluffs, and its opening night festivities are going to be a lot of fun for families! The Riverfront Block Party Saturday, May 28, includes live music, a movie, bounce houses, train rides and a lot more at Tom Hanafan River’s Edge Park (on the Bluffs’ side of the pedestrian bridge). Admission is FREE! These four guys from New Orleans are a lot of fun for families and their concerts are high-energy. My kids and I had a dance party watching their live concert DVD that came with “Licensed to Move” last year. We haven’t been to a concert of theirs yet, but I can only imagine how much fun they are! 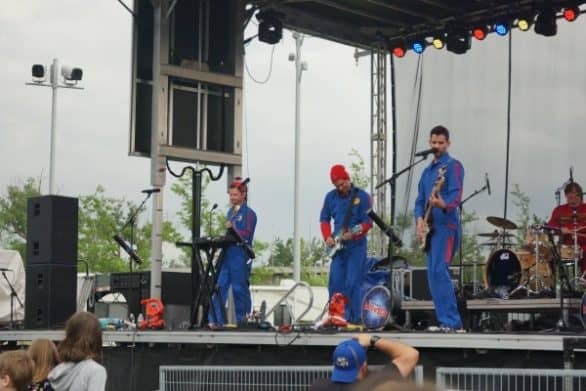 Are your kids fans of the Imagination Movers? I’ve got a prize pack to give to one lucky reader! 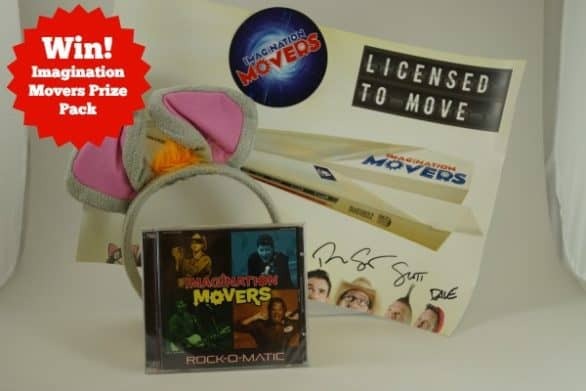 The pack contains an autographed poster, mouse ears, stickers and a CD. It’s easy to enter! 1. Leave a comment: Make up a name for your kid’s signature dance move. 2. 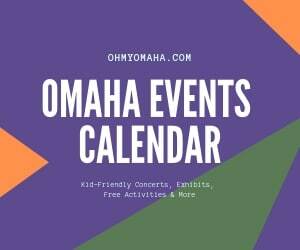 Bonus entry: Check out the Loessfest event schedule – which runs May 28 through June 5 – and leave a comment with which event you’re most looking forward to. Deadline to leave a comment is Sunday, May 22, at 11:59 p.m. One winner will be randomly selected through random.org. I’ll contact the winner via email within 48 hours and he or she will have 48 hours to respond. Must be 18 to enter. UPDATE: April 7, 2019 – Kids Quest at Ameristar Casino in Council Bluffs, Iowa has permanently closed. We all aren’t blessed with babysitters at the ready. I’m lucky to live in the same city as most of my immediate relatives and even I sometimes need to scramble to find a babysitter. Never heard of it? It’s the nation’s largest hourly child care provider, but it’s more than what you envision “child care” to be. Think arcade, floor-to-ceiling maze and karaoke. It’s a supervised children’s entertainment center, basically. Our local Kids Quest is located inside Ameristar Casino in Council Bluffs. It’s open seven days a week. For hours and rates – check at www.kidsquest.com. Spoiler alert: There’s a giveaway at the end of the post! So, if you’re like me, you get a little uptight thinking with your preconceived ideas of an hourly day care center (in a casino, even). Relax. Kids quest has CPR and first aid certified staff. Safety is a priority, so a photo ID is required at check-in and check out (there’s a nice video about the process check-in here). TIP: Speed up your first check-in by pre-registering online. They care for children ages 6 weeks to 12 years old. Socks are required, which reminds me of the policy in my kids’ daycare’s infant room. Special areas offer creative crafts, construction and transportation toys, cozy lounges, home living imagination play, colorful costumes and realistic props to set the stage for big adventures. Plenty of twists and turns in this floor-to-ceiling maze challenge kids’ bodies and minds while providing vital entertainment and exercise for hours on end. Kids get their game on with the latest engaging (yet non-violent) arcade games where they can compete for high scores! Your child’s taste buds are tantalized as the simple act of eating is changed into a super savory adventure. Meals and snacks available for purchase. A safe-play environment with soft climbing zones for youngsters that encourage sensory stimulation, interactive play, and toddler-friendly snacks! Here’s a spotlight where kids shine, whether they want a solo song or to sing along with their friends! Over 100 kids games and apps give the perfect tech platform to explore and play on their own or in friendly competition. Wii®, Nintendo® Kinect, and PS3 games get kids moving with the latest in virtual spors, exploration, races, and more! Kids tap into their deepest creative impulses, which then come to life through drawing, molding, painting, and whatever other colorful crafts they devise! What else is there at Kids Quest? From start to finish, our birthday parties create wonderful memories as your child celebrates being one year older. Your child’s birthday party rules Kids Quest, gaining unlimited access to the indoor play piece, creative play activities, video and arcade games, and more! BOOK YOUR NEXT PARTY AT KIDS QUEST! It’s amazing how so much fun can be packed into 2 hours! No stress setup or teardown. Design the party theme and activities around your child’s unique interests. Think your kids would have fun at Kids Quest while you enjoy some free time? We’re giving away two free hours at Kids Quest for two children, two snacks and two beverages! That’s a $40 prize (though the free time you’ll have is priceless, right?)! It’s easy to enter using the Rafflecopter entry form below. If you have trouble using the entry form, go directly to Rafflecopter.com to enter. Giveaway ends Sept. 21 at 11:59 p.m. I will contact the winner via email; winner needs to reply within 48 hours or another name will be drawn. Some of you know that I used to work in Council Bluffs, Iowa, for years. I grew to feel protective of the city and the quirky people who call it home. It’s a neat place once you drive past the casinos and steer clear of the west end of West Broadway (the 100 block, I dig). 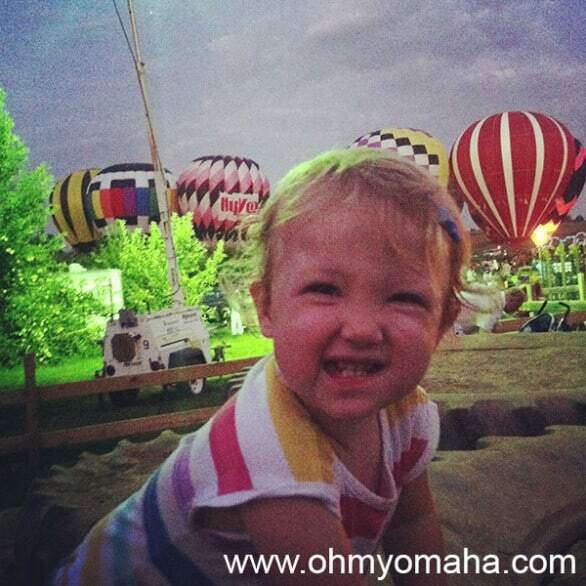 I invited a friend to provide an insider’s look at the family-friendly scene Council Bluffs offers. Go out and explore it sometime. Council Bluffs has been known to get a bad rap. 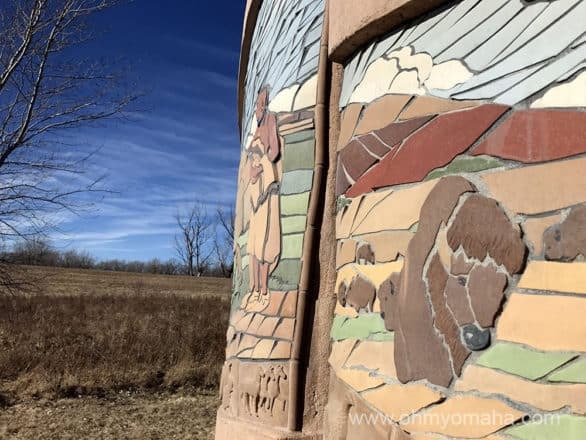 You may have heard the old familiar “Counciltucky.” But no matter what you hear you will never know the true gem Council Bluffs is until you get out and explore all it has to offer. I am a mother of a 10-month-old son. Taking him places isn’t always an easy feat (will it ever be?) and finding places that spark his interest and keep him occupied is always on my to do list. One place we love to go visit is Bass Pro Shops. Yes, you read that right; I know, I know … it’s a hunting and fishing store. However, they have a lot more to offer than just kayaks and duck calls for sale. Bass Pro has an 18,000-gallon fish tank that is sure to mesmerize your little ones. There are all kinds of wildlife animals on display throughout the store and even a carnival like shooting range upstairs for the bigger kids. One of the best things about Bass Pro is all the free family events they hold throughout the year. They have a Santa’s workshop, visits with the Easter Bunny, Family Summer Camp and many more. Not only are these events free, but they often include free take home projects for the kiddos and free holiday pictures. A quick trip to the BP can be a fun learning experience for the whole family! 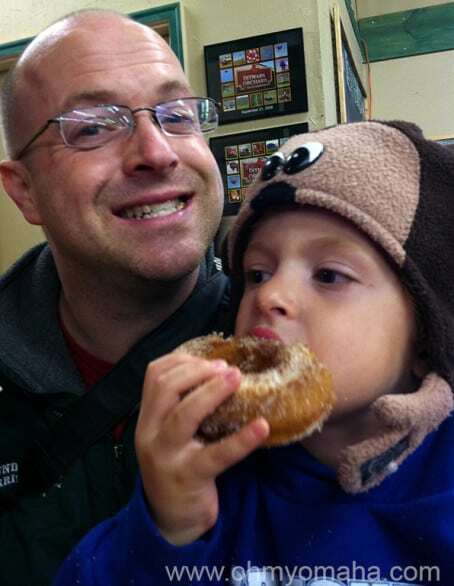 Ditmars Orchard is another great, quick day visit for the family. 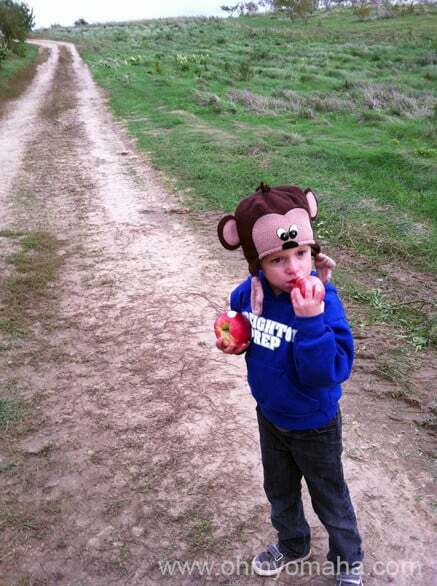 Take the kids out for some fruit picking, corn-digging and tractor pull rides. Ditmars also hosts numerous events throughout the year. From their fall time pumpkin patch to live music performances and a hot air balloon festival – it’s always worth it to see what they have to offer! 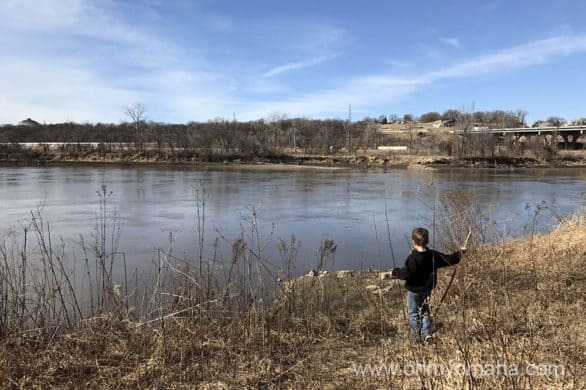 Tiffany, a Council Bluffs, Iowa, native and mother of an adorable boy, shares tips on where to go in Council Bluffs with little ones in tow. 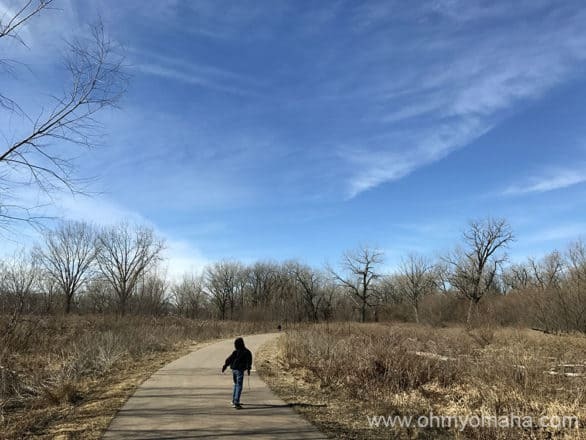 Council Bluffs has many other amazing locations to check out. 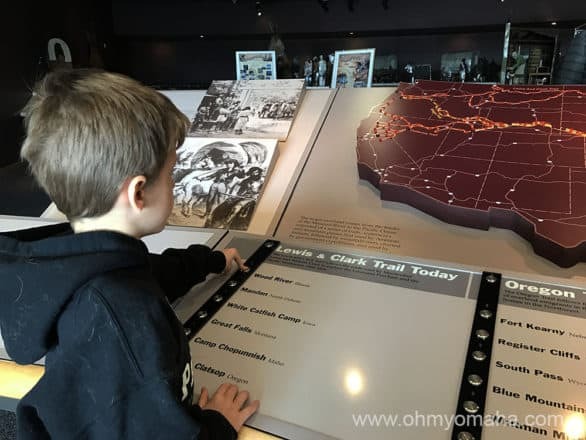 If you want to explore history, I suggest the Union Pacific Railroad Museum, Historic General Dodge House, Squirrel Cage Jail or the Lewis and Clark Monument. These locations would make for great learning scavenger hunts if you have older children. If you want to take in some fresh air and nature, visit one of our amazing parks. Big Lake is an excellent park to visit – you can fish, have a picnic and play on the kid friendly playground! 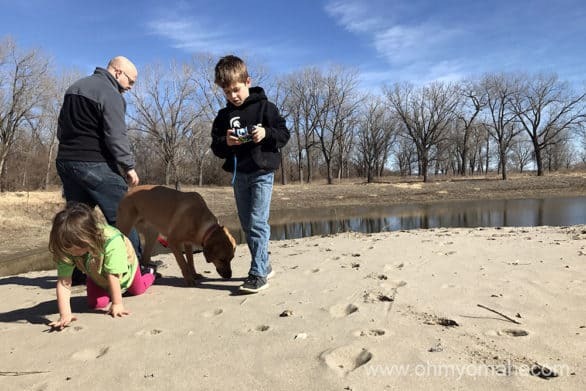 Council Bluffs has a lot to offer if you give it a chance and it’s a wonderful place for a family adventure! 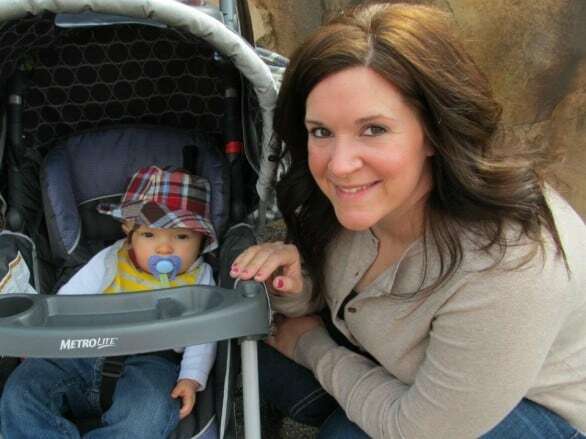 – Tiffany is a crafter, diaper changer and recipe maker out to change the world one Pinterest project at a time. Read more by this 30-something first-time mom at http://nestingnations.blogspot.com/.